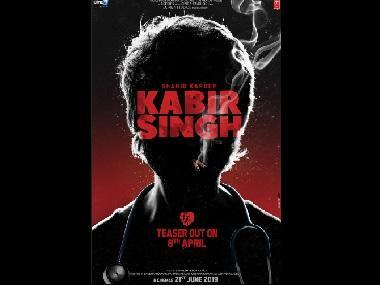 Kabir Singh is the official Hindi remake of Telugu blockbuster Arjun Reddy, which starred Vijay Devarakonda and Shalini Pandey. The makers dropped the film's teaser on Monday. Shahid Kapoor, who plays the protagonist in the film, is an all-out rebel. Sharing the clip on social media, Shahid stated that the character is "not a rebel without a cause." Juggling his medical profession and love life, Kabir's character is anything but perfect. Aggressive, headstrong and rough, Shahid's character is seen unabashedly indulging in a variety of drugs in the teaser. Kiara Advani features as the female lead in the film. The narrative charts the journey of Kabir as he slowly descends into a realm of self-harm once his love interest gets married to a different man. "Since it is the same director of the original film, I'm sure it will be really good and I'm excited to watch it. I'm waiting for it," said Devarakonda about the remake in a recent interview.